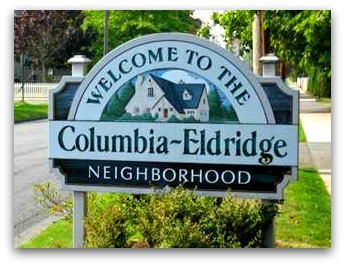 One of the city's oldest neighborhoods, the historic Columbia Neighborhood is home to nearly 4,000 Bellingham residents. 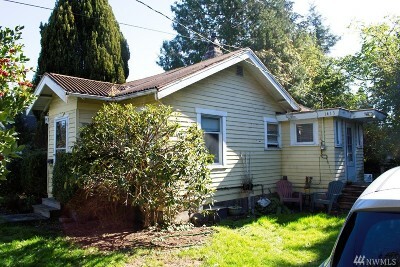 The well maintained neighborhood boasts historic craftsman homes, narrow tree-lined streets, and mature landscaping. The southernmost portion of the neighborhood, known as the Eldridge Historical District, contains many large, historically significant homes with bay views. The Columbia Neighborhood is home to Elizabeth Park, one of Bellingham's largest neighborhood parks. Other parks within the neighborhood include Carl Lobe and Lorraine Ellis Parks with facilities for younger children and families. Columbia Neighborhood residents enjoy easy access to Downtown Bellingham, Squalicum Harbor, and Squalicum Creek Park, in the adjacent Birchwood Neighborhood.